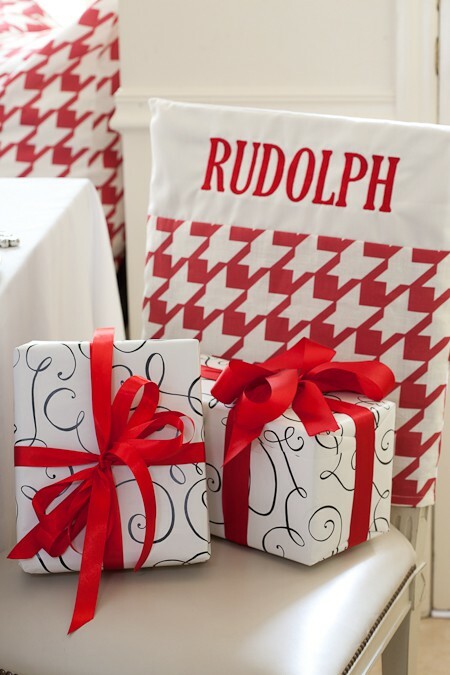 Love the jolly theme from designer Tobi Fairley here. Makes me want to have a Santa party too. 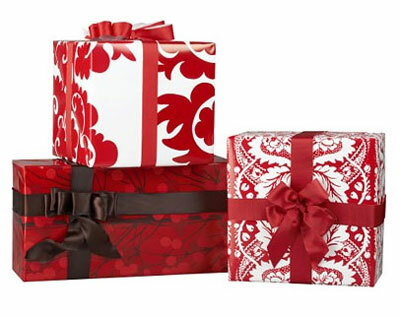 I have never met a designer yet who can't gift wrap beautifully. Clever is all around you when you have a sharp pair of scissors. 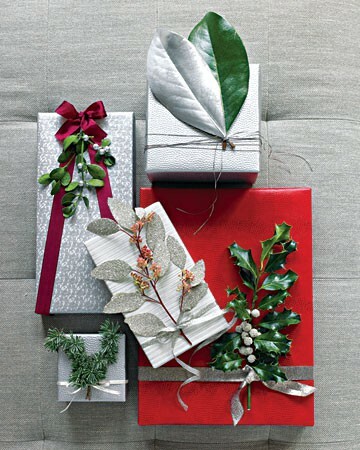 Don't forget to recycle this years holiday cards for next years festive embellishments. Think ahead. 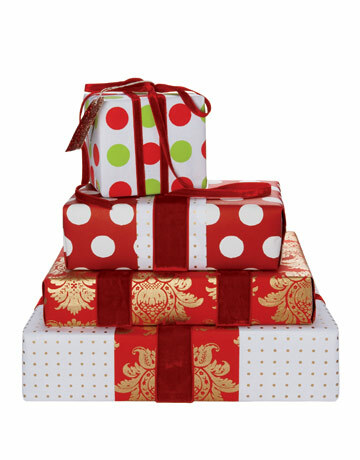 Pick one festive gift wrap colour in a variety of patterns (if too many papers overwhem you) to give your tree gift collection a cordinated look. From google here. 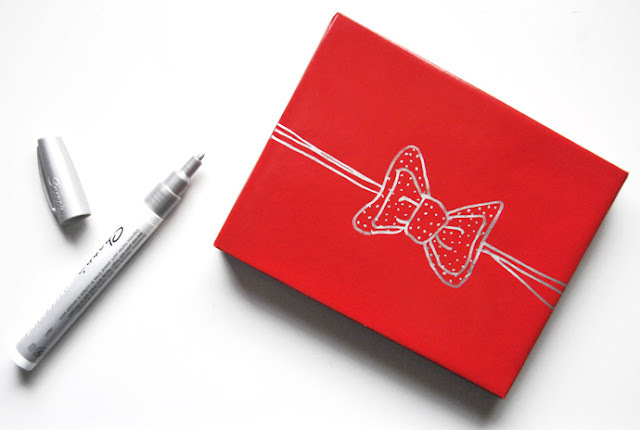 This whimsical and easy way to dress up a store box was from a J. Crew newsletter last year. Those sharpies are good for more than marking freezer bags. 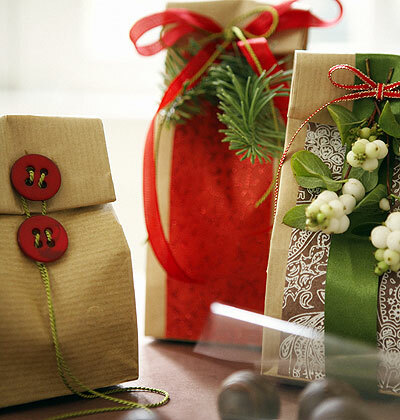 Fresh greens, small strips of festive gift wrap, and buttons add classic status to simple brown bags. Effort is everything in gift presentation. Above and below From Country Home. Tube Mailer wrapped in gold faux bois paper from Martha Stewart. 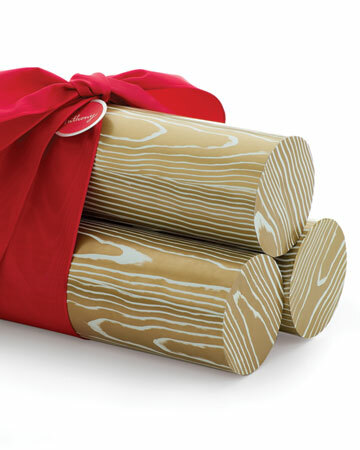 Christmas logs that won't melt anything but your heart. 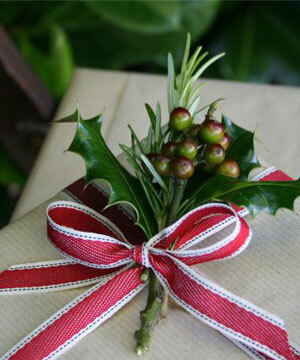 French simplicity by Sharon of the elegant blog My French Country Home. 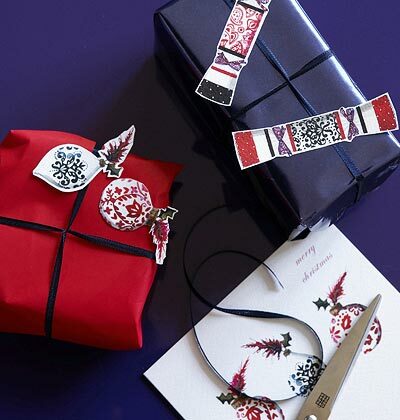 I love these inspired wrappings! I especially love how you have reused cards and boxes and bits of nature. There is inspiration every where, we just need to be looking for it!